Meet A Wolf and Wolf-Dog! Freyja, the powerful but silly Norse Goddess, arrived at Wanagi Wolf Rescue on November 19th, 2018 all the way from Chicago. The entire pack have welcomed her in with all their hearts! This HUGE sweetie pie is now the pen-mate of “her sister” Jyoti. Freyja & Jyoti wrestle, play with their toys & ‘sing’ together! Angel is a prominent ambassador for Wanagi Wolf Rescue. 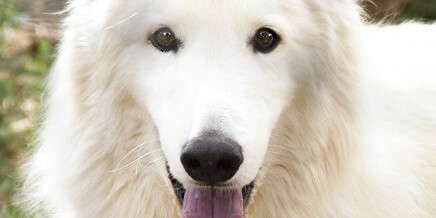 He’s a gorgeous, high content, white, Arctic Wolf-Dog. He has been well taken care of, is fixed, chipped, loves children & LOVES playing with other K9’s! Angel lives inside with Stephanie and Bindi, and at night they leave no room in bed for Mom! Jyoti, nicknamed ‘the Valentine Girl’, because she arrived here on Feb. 15th 2015. When I come home at night, she greets me with loving howls and kisses! She is one loving girl. Jyoti means ‘the bright flame’ in Sanskrit and she certainly is! 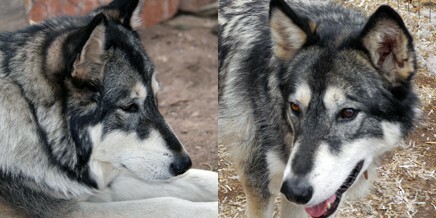 O-tai-oni is a high-content wolf-dog who arrived at the rescue on August 31, 2012. 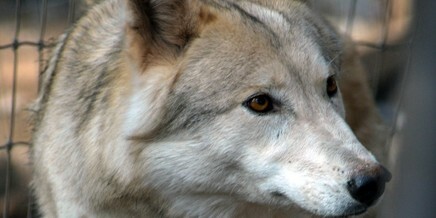 Although she was originally named “Trinity” once she came to live at Wanagi Wolf Rescue, she “told” Stephanie that her new name was to be “O-tai-oni” which means “wolf” in the Seneca language. Meet beautiful Wihopa, the sister half of the Kola-Wihopa sibling pair. (Kola passed on January 1st, 2015.) Her name means “pretty woman” in the Lakota language. She is highly socialized and is very friendly to visitors at the rescue. Wihopa is a flirt, but be careful cause she might just steal your heart! This is Prema, Waya’s pen-mate. She is a young gray wolf/Husky mix who was rescued from the Gallup area by the Humane Society. Since coming to live at Wanagi Wolf Rescue, Prema has evolved into a beautiful, healthy, robust wolf-dog who is a great influence and teacher for Waya. This is Shadow, the daughter of Canadian white Tundra wolf, Shunka (Shadow’s mother was a gray wolf). Both Shadow and Shunka enjoy announcing the arrival of visitors to the refuge, and Shadow’s adorable and friendly face immediately endears her to all who see her. Stephanie takes Shadow and Shunka to Wanagi Wolf Rescue’s “Meet & Greet” venues, where they both are very well-behaved and loving.